Director: Mike Mills. Cast: Ewan McGregor, Christopher Plummer, Mélanie Laurent, Mary Page Keller, Goran Visnjic, Keegan Boos, Kai Lennox, China Shavers, Jodi Long, Cosmo. Screenplay: Mike Mills. Twitter Capsule: (2011) Tactful, tender, and generous, rich in humor and characterization. Joins the Junebug Hall of Fame for exquisite modesty. Second Capsule: (2019) With a light touch, converts a premise that could've yielded high-concept Wackiness into a sincerely poignant portrait. VOR: ④ Beyond the complexity and maturity of tones, the formal conception is unusual and tricky, from edits to story beats, without feeling labored. For a film that contemplates sadness early and often, and even features a hand-drawn History of Sadness, Beginners is nonetheless saturated with color, both graphic and emotional. That's what happens when your dolorous main character, Oliver (Ewan McGregor), is an illustrator, but it's also what happens when your writer-director is Mike Mills, a soul both melancholic and exuberant, an artist who does not confuse sorrow with gloom. Beginners cuts often to pure fields of yellow, green, purple, or red, one of many ways it spruces up the viewing experience and even brightens the room. Its freewheeling but far-from-arbitrary montage breaks up scenes of carefully observed behavior with inserts of stock footage, still lifes, and archival snapshots. Their cumulative effect is charming but also enigmatic. The movie is a dandelion, outwardly modest but thoroughly lovely, its themes and ideas carried spore-like through the air by winds that are personal as well as historical, dispersing them across different plot strands, calendars, and contexts without landing them all in one place. There are three primary timelines, pointedly discrete. In one, young Oliver begins growing up, largely under the watch of his free-thinking, fond, somewhat mysterious mother Georgia (Mary Page Keller), who chaperones him to art galleries and teaches him to drive and enlists him into 10-second performances where he pretends to die wherever he is sitting. In another, following Georgia's death, her septuagenarian widower Hal (Christopher Plummer) comes out as gay, attracts a young and doting boyfriend (Goran Visnjic), and embraces an identity and community that he largely denied himself through several decades of an unusual but happy marriage. In the third, following Hal's succumbing to cancer, a still-grieving, somewhat shell-shocked Oliver, who's hardly a firecracker at the rosiest of times, meets a moonish but warm-hearted French actress named Anna (Mélanie Laurent) and attempts a relationship with her. Their complementary but differently-sourced sorrows bond them but also challenge that bond. That's a lot of dying, a lot of heartbreak, especially for a movie that feels neither lugubrious nor manically insistent upon repudiating bad feelings. You want to hug everyone on screen, including or especially the wise and telepathically articulate Jack Russell terrier who is Oliver's longest-term companion. (It works, I promise.) The movie also feels like it's hugging you, even as it poses daunting interpersonal quandaries and conjures disconsoling thoughts of the ephemeral, the disappointed, the never-explained. One amazing dimension of Beginners is how it sustains its three primary threads, each predicated on the absence of central characters in the other, and yet it doesn't play as a "multiple-timeline" movie, because the emotional timbre is so consistent and rich. The whole ensemble feels beautifully enmeshed, each member somehow present to the other even when they share no scenes. The whole film feels like one film, where it might have felt bitty or cross-hatched with palpable seams. Even having started with a script this jewel-cut, tender, funny, and emotionally generous, such a story could easily feel bogged down in serial transitions among the ostensible love story and the two dramas of grief and bewilderment, maternal and paternal, which Mills also treats as love stories. But Beginners does not feel that way; I'm a fairly craft-conscious spectator, but I don't sit there admiring the resonance or timing of this movie's cuts, although they are crafty indeed. (Mills's key collaborator in this department is Olivier Bugge Coutté, the Dane who is also responsible for Joachim Trier's adventurously-assembled dramas.) One reason is that, despite significant temperamental disparities among the main characters and among their plotlines, comparable currents of rue, curiosity, sensitivity, and introspection permeate each strand of the picture. Beginners is not, emphatically, a story about children being consigned to the same fates or patterns as their parents. It is, however, a story about the young, the middle-aged, and the elderly facing more similar tests of conviction and of happiness than we often concede, and choosing their responses from a common set of alternatives. Hal opts for joy and communitarian bonhomie, even at the risk of occasional denial or deception. Anna will later admire him for this choice, without ever meeting him. Oliver seems to credit him as well, but is so suffused with present- and past-tense questions about his parents and himself that he can't always get outside his own headthe very thing Hal has coached himself to do and which he strongly wishes for his son. So many movies, and not just movies, partition characters firmly by age bracket, romanticizing or vilifying children, lampooning or sentimentalizing the aged. Beginners simply refuses. Its inclusive vision of life is all the more remarkable because it sees every character in such peculiar, specific detail. They are not ciphers through whom the film tackles vaguely-defined ideas or banally generalized experiences. In other words, despite proposing all this commonality among characters who nonetheless struggle to grasp each other (in memory, in bed, in marriage, in the moment), Beginners refuses to make them mirrors or metaphors for each other. Still less are they archetypes. Because he is written so well and because Plummer performs him with clear-eyed complexity as well as devilish glee, Hal is not a paragon, a personified Spirit of Life. He delivers all his dialogue as though he means precisely what he's saying; his lines are not placeholders for life lessons, or holistic bromides about the right way for everyone to be. That's rarer in movies than it should be, especially in stories like this one. As Oliver's mother, Mary Page Keller has fewer scenes, but in her way she's as remarkable as Plummer is, her attention seized by things you might not notice, her manner casual about things you'd expect to trouble her. Unknowable mothers are typically approached in American movies as problems, especially if they act strangely in public or speak to their youngsters as if they were adults. All these things are true of Georgia, but Beginners treats her as a riddle, not a burden. She's a dry-run in a way for the character Annette Bening would play so exquisitely in Mills's next film, 20th Century Women, based even more forwardly on his own mother. Rewatched today, Beginners itself feels like a small-orchestra rehearsal for that movie's symphonic exploration of kinship, history, desire, temporality, creativity, and regret. 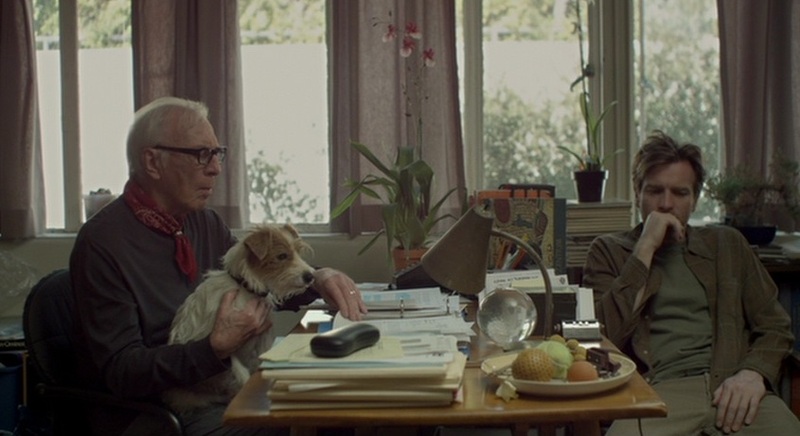 In retrospect, then, Beginners's quick-cut montages that evoke historical events and ambient environments from the characters' various pasts look like Mills trademarks, maybe even like affectations, but I think they do important work. In 20th Century Women, teenaged Jamie keeps attempting to explain his mother's many quiddities by telling anyone who will listen, "She was raised during the Depression." Oliver is too mature, in multiple senses, to resort to such catch-all rationales, but he still seems fitfully curious whether personality in general or in singular cases can be explained via historical zeitgeistsnot because he seems truly convinced by this logic, but because he's casting about for any trace of expository consolation, wherever he might find some. His parents are just so puzzling, as is the world, such that the line between one and the other becomes hard to draw.